When I started homeschooling, I was shocked at how much everything cost and how much waste we were creating! I was excited to get started and bought a bunch of notebooks, paper, lesson plans, dividers, workbooks, and not to mention manipulatives, toys, and games. After a month of teaching I realized we wouldn't use half of the things I bought. When we got our power bill, I then knew we had to be more careful with the electricity. So my next lesson plan to my 2 1/2 year old was teaching her about the earth and how to take care of it. 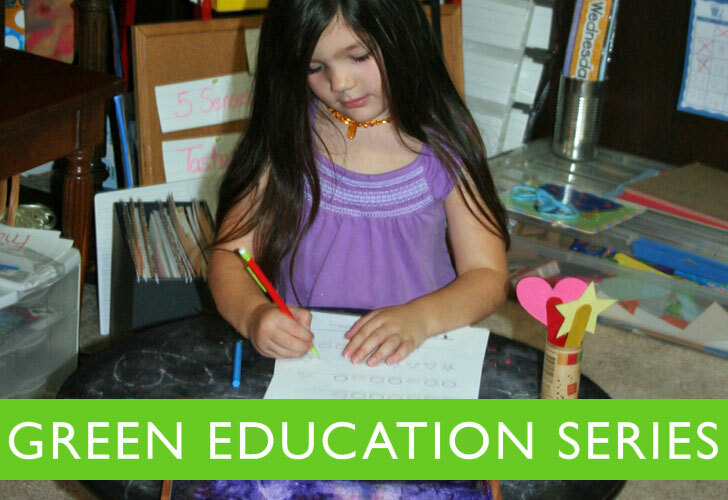 Here are some tips I've learned along the way to keep homeschooling green! We love Little Green Books by Simon & Schuster. They have a great eco series that teaches children how to care for the earth. They are made with FSC and recycled paper and printed with soy ink. 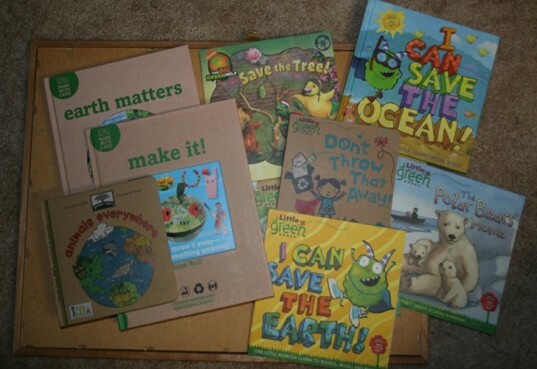 My favorite is I Can Save The Earth with Max the little green monster. We also love the Green Start series by Innovative Kids and DK Made with Care series. Once you teach your child the basics about why they should help take care of the earth, teaching them to recycle, save energy, clean up after themselves, and cut back on waste is super easy. It’s like giving your child a superhero task and they enjoy doing it because they know they are helping out in a big way. We cut back on waste by planning ahead. I created a board that helps us stay on task for the lesson plan of the week. I also laminated everything and put velcro on the backs so we can reuse at a later date. Instead of buying a bunch of things for the lesson, we look online as much as possible. If I am missing something that I want to teach, we go to secondhand shops first. 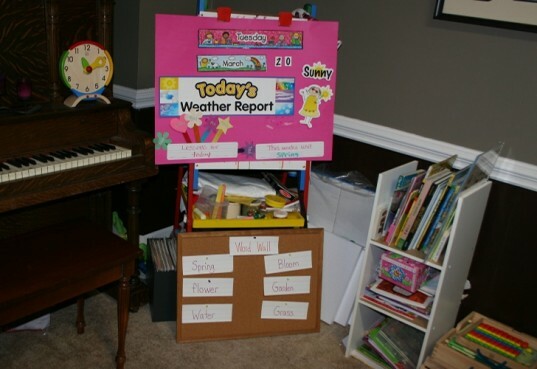 You can also ask any of your local homeschool parents if they have any leftover materials or teach as a group. We only use eco-friendly non-toxic toys and manipulatives for our school. 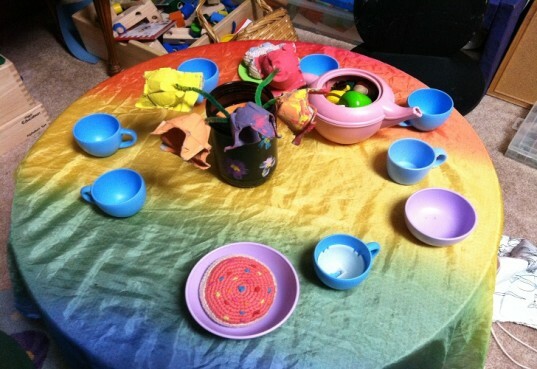 We use several different learning styles, including High-Scope Curriculum, Waldorf, and Montessori so we have a variety of tools including blocks, house/social toys, musical instruments, math manipulatives, woodworking, lacing cards, puzzles, and more. If you choose to purchase anything plastic, go for brands that reuse safe materials like Green Toys or Sprig. Some of our favorite wooden educational toys are made by PlanToys. 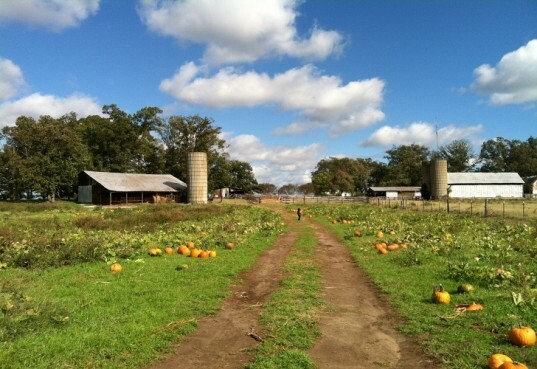 When going on field trips, explore local farms. Being able to see where food comes from and how it is grown is important to teach your child if you want them to respect and not waste food. My daughter has always loved picking fruits and veggies. We have met most of our local farmers at farmers markets, so we know which ones are organic. This is extremely important if you are going to pick your own! Other great field trips include local science museums, raptor centers, nature centers, gardens, and parks. Try to use public transportation or carpool when going long distances. We found an old table at Goodwill for $5. We bought chalkboard paint and painted the table so my daughter can write and color without wasting paper. We use shoe racks as bookshelves and our art easel to hold our weekly lesson. There are many ways to repurpose household items that aren’t in use. We also save certain recyclables like egg cartons, yogurt cups, glass jars, foil, tissue paper from gifts, boxes, and packing paper. these all come in handy for recycled crafts. We love Little Green Books by Simon & Schuster. They have a great eco series that teaches children how to care for the earth. They are made with FSC and recycled paper and printed with soy ink. My favorite is I Can Save The Earth with Max the little green monster. We also love the Green Start series by Innovative Kids and DK Made with Care series. Once you teach your child the basics about why they should help take care of the earth, teaching them to recycle, save energy, clean up after themselves, and cut back on waste is super easy. It's like giving your child a superhero task and they enjoy doing it because they know they are helping out in a big way. We cut back on waste by planning ahead. I created a board that helps us stay on task for the lesson plan of the week. I also laminated everything and put velcro on the backs so we can reuse at a later date. Instead of buying a bunch of things for the lesson, we look online as much as possible. If I am missing something that I want to teach, we go to second hand shops first. You can also ask any of your local homeschool parents if they have any leftover materials or teach as a group. We found an old table at Goodwill for $5. 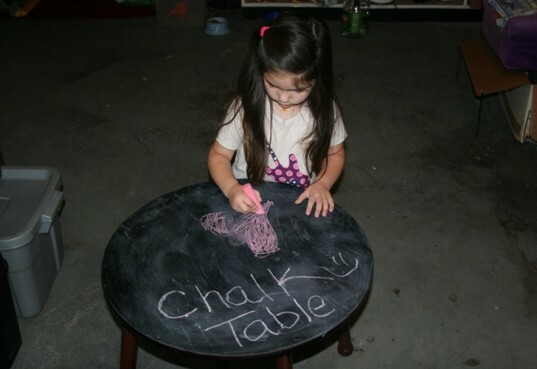 We bought chalkboard paint and painted the table so my daughter can write and color without wasting paper. We use shoe racks as bookshelves and our art easel to hold our weekly lesson. There are many ways to repurpose household items that aren't in use. We also save certain recyclables like egg cartons, yogurt cups, glass jars, foil, tissue paper from gifts, boxes, and packing paper. these all come in handy with recycled crafts!